One of my 30 before 30 tasks is to learn a new creative skill/craft, and I have chosen one that will also benefit my relationship with God. Bible Journaling. Now, it sounds pretty simple, and in essence it is, but then when you google it and see what some people have been able to create in their bible’s it can be a bit daunting. Bible journaling isn’t just writing stuff in your bible, but using your creative side to express what a verse or passage means to you. 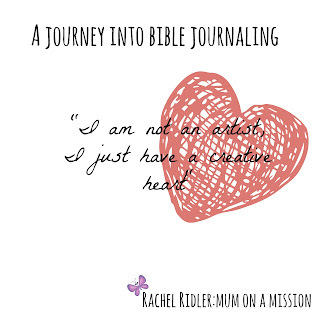 It gives you permission to draw, paint, doodle, scrapbook, whatever, INSIDE your bible (something that feels really wrong when you start off!) and to personalise it to your relationship with God and expression of worship to Him. And to me that is the most important thing to remember. Bible journaling isn’t for anyone else. It isn’t for your instagram fans to say how amazing your painting is, although sharing some of your best work might inspire others. It is for you to enjoy doing with God and for God to enjoy the development and growth of your gift and love for Him through it. So it doesn’t matter if it looks amazing, or if you make a teeny tiny mistake, as long as you love it and it means something to you! As I start this exciting journey into developing a new skill and using my creative side more to connect with God (something I am really passionate about – read my previous posts – in the beginning God what? and achings of a creative heart) I invite you too to join me. I am going to try to post some of my bible journaling art that I produce and the process in producing it. Why not join me and post it on my facebook page – I might even feature some of your photos in future posts!! I am not an artist, I just have a creative heart and want to use it to the glory of God. Sara laughs – a great simple break down on how to get started with bible journaling. I love the steps she breaks it down in to so that it feels achievable. thinking closet – this is a great round up on some questions you might have to get started too, like what materials to use, where to get a journaling bible, etc. Plus there are lots of great pictures to give you inspiration! 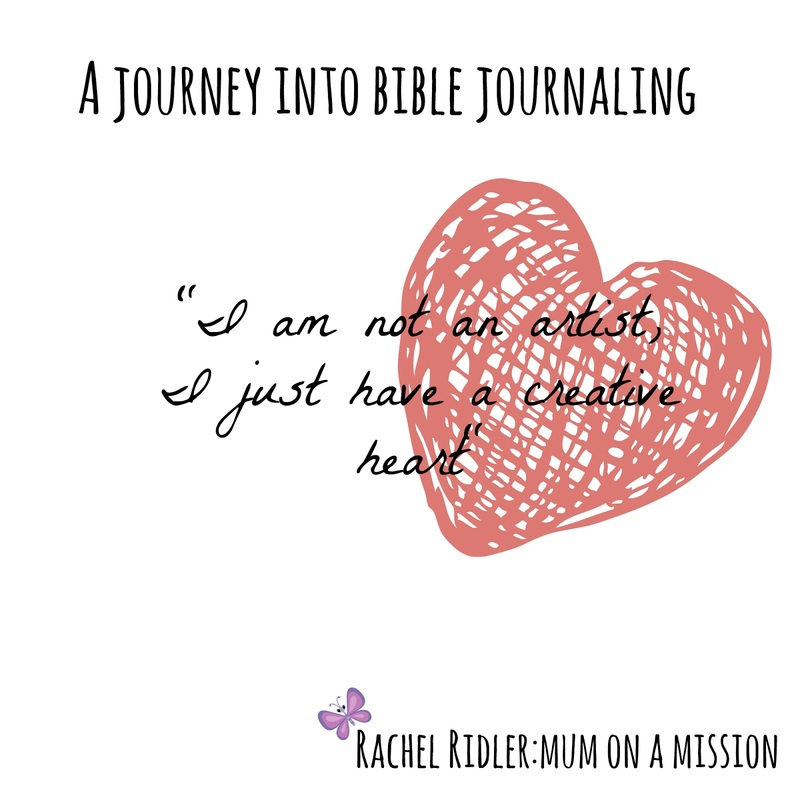 Shanna Noel – have a flick through her blog for some different takes on bible journaling and ideas for what you might like to do. Thanks Michelle – I am looking forward to having a try! I will post up some of my attempts, and hopefully the fact that they don't look like perfection will persuade others to just have a try too!